Can Food Allergies Cause Autism? The Gluten and Casein Free Diet - Why do parents go through all of this trouble? Dietary Intervention is one of many treatments for children with Autism. One diet, specifically the gluten-free and casein-free diet is now wide known as a treatment worth trying. In 1995, when her son was diagnosed, parents on support group websites told her parents had been cutting dairy out of their children’s diets for 20 years already, and that researchers were attempting to prove the connection between dairy and autism. The book also offers in an easy to understand language an explanation of why parents should try the diet. Casein has a molecular structure that is almost identical to gluten. So, although a child may suffer from casein sensitivity more that gluten or visa versa; it is imperative to remove both from the diet. Casein includes all diary products and all products that contain casein. Parents must read labels carefully; products that include whey have casein in them. Some parents find managing the gluten-free side of the diet more difficult. 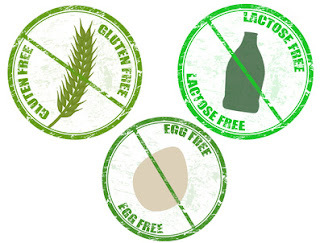 Gluten-free requires removing all wheat, rye, and barley out of a person’s diet. Oats have been an item of controversy. Most parents eliminate oats as well to be safe. Often oats are processed in the same mills as gluten grains, and the chance of cross contamination is too great. There are many hidden sources of gluten. MSG, modified food starch, some detergents and soaps may have hidden gluten. Talk about Curing Autism (TACA) has a thorough list of items containing gluten and casein at the website, http://gfcf-diet.talkaboutcuringautism.org/hidden-sources-of-gluten.htm. The list may seem daunting to some parents, but as they continue to read it they will find many of the items listed have never been used in their home. The Autism Research Institute at www.autism.org offers testimonials, scientific research data and other helpful information for parents considering the diet for their child. ARI states on their website that a remarkable 66% of children put on the diet showed improvement. When parents have over 700 treatment options available, they do not have time to waste on treatments that show 5% or 10% of children improved. It makes sense to try the treatments that have a proven history of success. Some people attempt to discredit the impact of the diet on improvement in children by the fact no double blind studies have verified what parents have been doing for 40 years. Thankfully, a 2008 study has started to offer the proof. “This is the first study to develop and test a range of double-blind test foods for regular consumption by young children with autism.” The test is funded by Research Autism & The Children's Foundation (http://www.ncbi.nlm.nih.gov/pubmed/18721407). Once a parent decides to put their child on a gluten/casein free diet, getting started may feel intimidating. The single best resource for this parent is another parent who has gone through this same experience. Parents who find another parent in the community who also has a child on a GFCF diet instantly has a person on their side that wants them to succeed. The parent may feel inspired by the other child’s progress and will want their child to do as well. The mentor parent has most likely done investigating already and has a list of must have, safe items for both children. If finding a mentor is not an option, there are many others. Web sites are available for parents who are overwhelmed by the transition of going GFCF. One website, gfcfdiet.com is a phenomenal resource. The site includes tips on going gluten and casein free, menus, recipes, testimonials, and sells snacks, vitamins and other necessary products. Also offered is a 3 disc DVD set explaining the diet, allergies, supplements, yeast cooking tips and phenols. This disc is helpful for parents starting the diet as well as parents of children who have been on the diet for some time. Parents who do not like the idea of cooking two separate meals three times a day will appreciate companies such as Your Dinner Secret. At their website, gfmeals.com parents can purchase pre-cooked, pre-assembled meals. A wide variety of foods are offered, from homemade Ketchup to Shepard’s Pie to Mini-Bundt Cake. Pre-cooked meals are an option for rushed family dinners. This option also can add variety to a diet that may sometimes feel limited. Purchasing pre-cooked items are also available at supermarkets and specialty food stores. While the items can be more expensive than the regular items made with gluten, many times the convenience is worth it. Pizza crusts, bread items, rolls, waffles, and cereal are only some of the items offers on grocery store shelves. Any item made with gluten flour can be made using gluten-free flour. Parents should not feel their child will be lacking in the food available on this diet. This diet costs money, but the health of the children can’t be measured in dollars. For parents in the United States, there are agencies that can help with the cost of specialty foods. In New York, for example, the WNYDDSO and Agape Parent’s Fellowship are a few such agencies. Eating healthy can save money in health care costs, prescriptions, and promotes a more active generation of little ones. Many parents of children on the Gluten and Casein Free diet are convinced their children eat better than their peers. In an age of childhood obesity, how can increasing the percentage of fruits and vegetables in a child’s diet be seen as unhealthy? Finally, an answer to the ‘why’ question. Why do parents go through all of this trouble? Parents feel they must do something to fight against the normally depressing future given to them by the doctor giving the diagnosis. Some parents wait 6 months for an appointment for testing. Are they to sit and watch their child slip further away into themselves, giving up a possible 6 months of improvement. No! They fight. Proving the doctor wrong becomes their goal. A diet with proper dietician consultation is a noninvasive treatment. If a GFCF diet has a chance of reducing negative behaviors, increasing eye contact, and decreasing tantrums- parents will try it. Three months is all it takes to determine if the diet will help their child. Improvement could be made while waiting for the testing appointment. It is a challenge to implement, but they are up to it. The reward of having a child who reaches his potential is worth any sacrifice to a parent. Most parents that have a child with autism or related disorder are presented with the same treatment options over and over. While these programs and interventions do help, there are other non-traditional therapies that yield positive results and have the added benefit of a little fun! Depending upon your child’s interest, you can find a professional to administer therapy related to that interest. 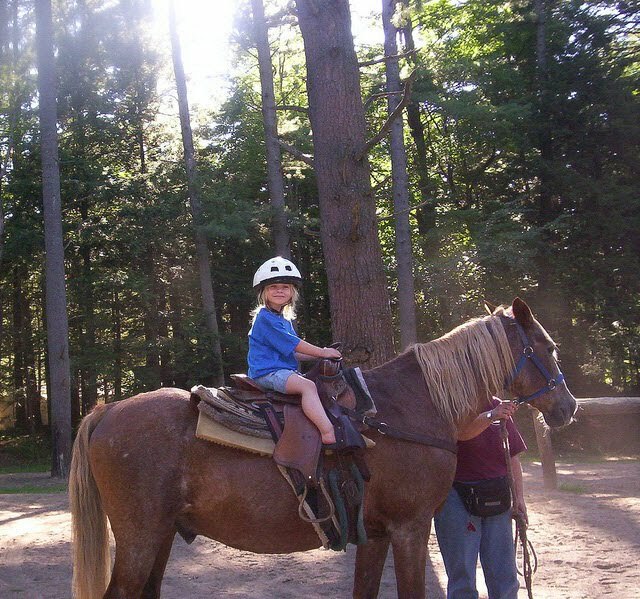 Music therapy, art therapy, therapeutic horse-back riding, even surfing and swimming with dolphins are all alternative ways to teach and treat children with autism. The differences between these and traditional therapy (speech, occupational and physical) may seem obvious; it’s the similarities that need to be discussed. Let’s say your child is learning how to start conversations. During speech your child will work on forming words, expanding words into sentences, using appropriate greetings and will learn conversation starters. The exact same goals and skills can be worked on during any of the alternative therapies mentioned above. There is the similarity and one that is constantly misunderstood. Many parents have the idea that only traditional therapy teaches traditional skills. Parents may wonder: Why in the world does my child need to learn how to surf? Perhaps he doesn’t, but if swimming, water and movement is enjoyable to them, can you think of a better motivator or reward? In this example, instead of earning a sticker on a speech therapist’s chart for ‘good talking’, your child will get to hop on a surf board and the ride the waves as a reward – what a significant difference. This is why it is important to remember your child is a child first and the disability comes second. If a child is drawn to music, incorporate it in their programming. If you have an idea for alternative therapy but are unable to find a provider, consider contacting a professional in that field and explain your situation. Parents are often presently surprised at the tremendous feedback received by non-therapists. A woman who offers private art lessons may be more then willing to work on talking or fine motor skills during lessons – in this case, you’ve taken a lesson or activity and modified to also provide therapy. The added bonus is your child will learn skills outside of therapeutic goals also. Surprisingly, cost can be less then that of traditional therapy and alternative programs may be more available. Every provider will have their own fees, and if financing the therapy is a challenge, be sure to discuss alternate payment options with the provider. Perhaps you can volunteer to decrease cost, use a sliding scale, or refer others to off-set the out of pocket cost. Parents of children with autism are quite creative and innovative, and this situation is no exception. Parents have also been able to incorporate alternative therapy approaches into mainstream educational settings. Simply put, if a child does well in art therapy, art projects should be used as reward, motivators and teaching tools throughout the child’s day. This is near common sense, as the more interested a child is in a topic, the more they will attend and contribute. Autism affects every part of life and, as such, can limit social and recreational activities. This is one way to offer your child the best of both worlds and to make sure you’re always moving forward. Be creative and be persistent and you will find a niche your child fits in and loves. You never know, maybe you have the next Picasso sitting right in front of you. There are several diets that claim to help children with Autism. How does a parent decide which, if any, to put their child on? For many parents, data helps validate the claims and helps them feel more comfortable in their decisions. This article discusses about two diets and the third one GFCF Diet, I will discuss it in another article (please stay tuned ..). All of these diets have been used for years, and have documented proof that it helps some children. Since Autism is a spectrum disorder, a therapy that helps hundreds of children will not help all; and there are cases of one child being “cured” by a therapy that did not help thousands of others. Parents are attracted by diets that may help their child recover, or limit the need for other evasive therapies. Up to 85% of children with Autism have gastrointestinal issues. Many of these are caused by an imbalance in the intestines due to Candida overgrowth. The overgrowth has significant behavior consequences. Dr. Bernard Rimland, founder of Autism Research Institute, stated, ”based on the weight of the information gathered to date, it seems to me highly probable that a small, but significant proportion of children diagnosed as autistic are in fact victims of a severe Candida infection.” With the incidence of Autism growing so alarmingly, the thought that 5-10% of children can recover by a diet is attractive and plausible to parents. The antifungal diet requires the removal of sugar sources (that feed yeast), carbohydrates and fermented yeast products (The Natural Medicine Guide to Autism; Marone, Stephanie; 2002;p27).Recipes may be found on anti-candida-diet-chocolate-recipes. The April 2007 Summary of Biomedical Treatments for Autism publication is available at, (Adams Biomed Summary). In it are the results of parent reports of the success of treatments and how to get more information on the therapies. In this report ARI found removing sugar from the diet as well as giving the child antifungal medication helped many children. Of the parents that reported removing sugar from the child’s diet, 48% showed an improvement, 51% showed no change, and only 2% stated their child got worse. Most antifungal diets begin with a round of antifungal medication. ARI found 55% of parents said their child got better on Diflucan and 49% got better on Nystatin, 41% and 46% showed no change respectively and 5% got worse taking either. It is important to point out that the use of antifungal medication often results in a die-off reaction. This die-off sometimes results in an increase of negative behavior because the yeast gives off toxins as it dies. This may explain some of the 5% that got worse. This diet can be used in conjunction with other diets. Many parents try it because most people have had yeast overgrowth at one point in their lives. It is also an easier diet to manage than other diet therapies for children with Autism. Dr. Feingold began noticing a connection between behavior and artificial additives in the 1960’s. The Feingold Association, which carries on the work of Dr. Feingold, feel this program should be used in conjunction with other therapies, diets, vitamin supplements or medication a parent and the child’s doctor sees fit. There has been behavior, attention, physical and mental health improvements in children and adults on this program. The attention and behavior improvements were not what the purpose of the diet was initially. The diet was started as an allergy diet, the behavior and attention improvements were an unanticipated bonus. 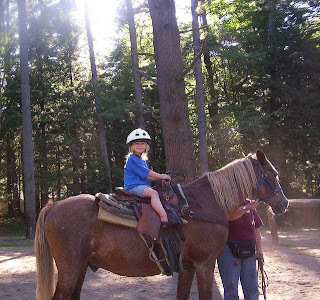 Students with Autism, ADHD, OCD and ODD have all benefited from the Feingold Program. The program requires the elimination of food from the diet of the child if the food contains: artificial (synthetic) coloring, artificial (synthetic) flavoring, Aspartame (Nutrasweet, an artificial sweetener) and artificial (synthetic) preservatives BHA, BHT, TBHQ. Also, some salicylates are eliminated, depending on the source of the salicylate. Also, like many other diets, products used by the child that contain the ingredients listed above must be eliminated (Hence, Feingold Program versus Feingold Diet). For example, some colored soaps may include artificial food coloring. The website www.feingold.org gives a complete description of the program, sources for food (including candy) that are allowed on the diet, and support to any parents wanting to try this for their child. The site shows how much more chemicals children today are subject to, compared to the children’s grandparents. The Autism Research Institute surveyed thousands of parents on different therapies used to treat Autism and continually updates their findings. The April 2007 findings are available at autism.com | Biomed |Autism Speaks. The parents that responded to trying the Feingold Diet came to 758. Of those, 53% said their child was better after the diet, 2% said their child was worse, and 45% stated there was no change. Many parents do not find this diet difficult to maintain, and feel it should be tried. Diet is an effective way to manage a child’s Autism. It is non-evasive and if done correctly has a good chance of success. Most diets parents can control themselves, and feel they are helping their child with Autism. If it doesn’t they try again with a different diet, and if it does, they are rewarded for their efforts. Patient parents are not easily frustrated by the trial and error aspects of dietary intervention. The Recovery From Autism (RFA) offers parents a thriving support system where they can connect to other parents like them to get advice about parenting or just know about a treatment or the latest techniques to treat autism. Sharing information about treating autism is a huge inflection point for parents with autistic kids. The Recovery From Autism gives them a trusted place where they can get latest information and resources related to autism treatments that could help their children to progress and can even recover them from Autism. Many parents and professionals agree children with autism are more likely to have food allergies and sensitivities. This supports the theory that children with autism have underlying impairments of the immune system. Parents of children with an autism spectrum disorder are encouraged to consider and evaluate the role food allergies may play in their child’s symptoms. There are many ways to test for allergies to food and other substances. An allergist can test by blood, skin pricks, endoscopies or even x-rays. Similar to food allergies, it is common for children with autism to experience allergic reactions from environmental triggers, food coloring or preservatives. An allergist can test for all types of allergies and should. Many parents test for food allergies by implementing an elimination diet. The most common food allergies are to wheat, rye, oats, dairy products, citrus fruits, peanuts and any other food a child is exposed to early in life and repeatedly, as this constant exposure can result in an allergy or sensitivity being developed. The physical reaction to food allergies can vary by child and may be dependent upon the severity of the allergy or sensitivity. The most common symptoms are nasal and respiratory congestion, acting ‘spaced out’ or out of focus, bed-wetting, stomach aches, hyperactivity, gastrointestinal disturbances, increased hypersensitivity to sensory input, depression, behavioral meltdowns and in some cases tics. Many parents report their child’s seizures are directly related to food allergies also. 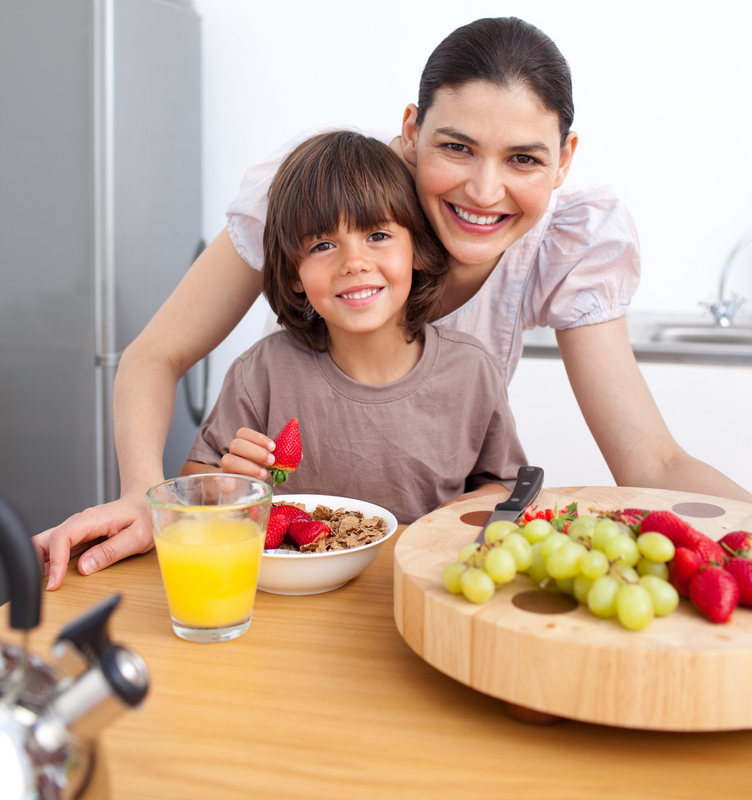 Beyond allergy testing, parents can determine if a child has a food allergy through an elimination diet. Often, children will crave what they are allergic to and this may hold a clue as to what food can first be removed from the diet. Parents should remove the food completely from the diet and maintain that diet for at least two weeks. The body needs time to adjust to the new changes. After a few weeks, parents should introduce the food removed back into the diet by having the child consume it on an empty stomach. If there is an allergy or sensitivity symptoms will appear immediately or within 24 hours at the latest. It is recommended to remove one food at a time, watching for reactions upon the child ingesting it. Parents will find that many dietary interventions used to treat autism exclude the most common foods children are allergic to. For example, the Gluten and Casein Free diet removes grains and dairy (in addition to being in other foods that are also removed). There are other diets that remove sugars, which can contribute to other gastrointestinal issues, so dietary interventions are an ideal way to also eliminate possible allergens or triggers of autism. Supplementation of needed nutrients, probiotics and other components can be used to further boost immune health and functioning. Children’s immune systems are assaulted when exposed to allergens, so strengthening the immune system will help the child’s body recover faster. Food allergies are a main contributor to the symptoms of autism. For the children who suffer from these, having the allergens removed provides great relief and progress. This is one treatment parents can pursue and follow up with a physician while changes are being made. Parents and professionals will testify to the positive changes parents will see and children will feel.